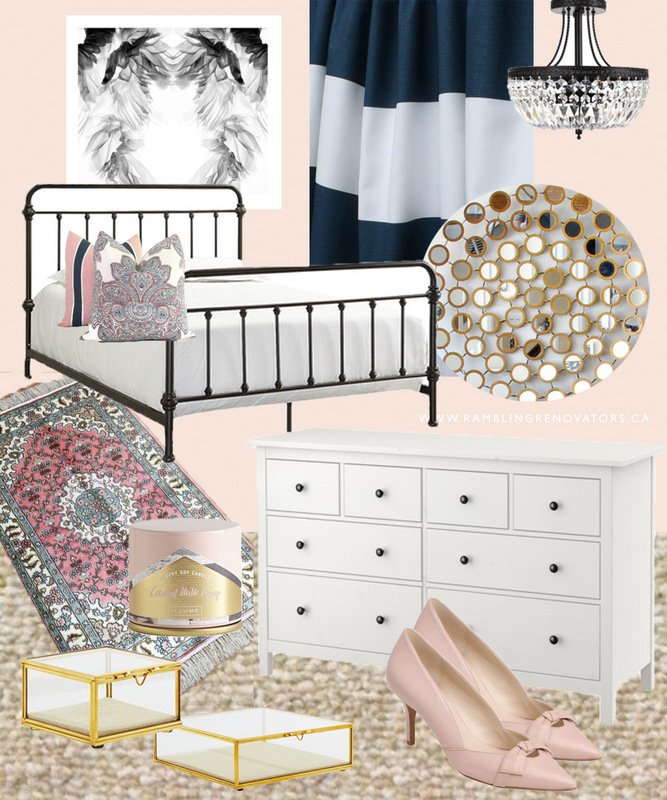 I've been having a bit of fun putting together a design scheme for the guest bedroom. A few things have been bought but I'm moving things around and working with some furnishings we already have. Things would move much quicker though if I could have my own way, design-wise! Even though I do most of the decorating in the house, it's always a joint effort. Some men could care less about decor but my husband is not one of them. If it were up to me, I would give our guest bedroom a feminine edge but of course, Sean is not having any of that so this moodboard will just have to stay a dream. Hints of pink, touches of shimmer and all the pretty things that would make this room just for me. I love a mix of styles so this room has a bit of everything - preppy and boho, clean lines and luxe accessories... single girl me would have loved a room like this. Who does the decorating in your home? Are you lucky enough to have a room to call all your own?